- Explore the virtual world of Poptropica and its 20 islands! - You’re the Hero! Solve 1000+Puzzles, mysteries! - Customize your hero from head to toe with 1000+ themed outfits! - Collect items from your favorite heroes! - Multiplayer game where you can meet and chat with your friends! Join a community of more than 10M players. - Create your own island! - Free to play, with in-app purchases available for more customization! Poptropica made Time Magazine's list of "50 Websites that Make the Web Great". 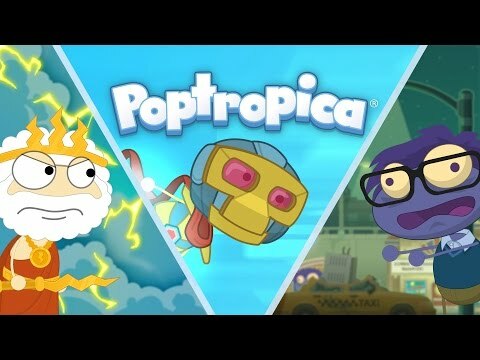 Please rate Poptropica - your feedback helps us make the best game experience possible! We squashed some pesky bugs and made the game work better for you! New updates including augmented reality! All new updates including chat! Demolished troublesome bugs and generated some cool new features.